Discussion in 'News & Updates' started by TrainSim-Jay, Mar 2, 2018. We're excited to be bringing our next-gen train simulation franchise to Xbox One and hope you're looking forward driving the powerful traction inside. We can't wait to hear about your journeys up and down the Great Western Railway, so to get the conversation started we've got a few things for you to check out! - Matt's also posted a great article explaining the philosophy behind the Founders Edition and our move to Xbox One. 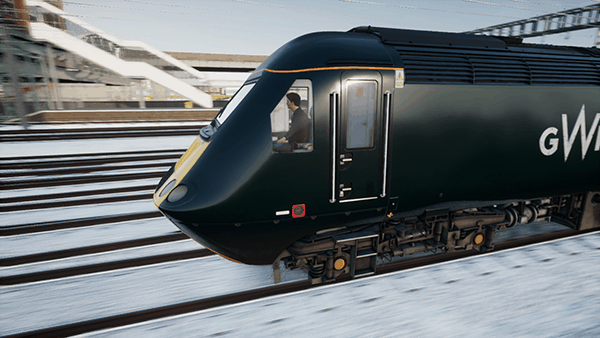 You can find it over on the Train Sim World Article Hub - along with all our other articles that explore the history and technology behind our trains! - You can also find our Xbox Hub via the Xbox app for Windows or direct on your Xbox One. Follow our Hub for the latest and greatest Founders Edition updates! - To keep up with daily news, check out trailers and just have a good time you can also find us on Twitter, Facebook and YouTube. Just remember to let us know what you think in the comments! - If you have any problems please create a support ticket HERE and our dedicated staff will be with you shortly! Will the Mixer streams be uploaded to YouTube after broadcast? Why would you get a discount? The 40% discount appears to only apply to PC pre-orders. DTG doesn't seem to be continuing this practice with Xbox One. I'm a tad confused about the pricing. On their Facebook page, the header states "PRE ORDER TRAIN SIM WORLD FOUNDERS EDITION BEFORE OFFICIAL RELEASE AND SAVE UP TO 40% OFF THE RETAIL PRICE.". As far as I can see, TSW Founders Edition is exclusive to Xbox One. So is there a discount on the £24.99 or is this not the retail price? Sounds like Founders Edition is the early release and the full edition is coming down the line, probably with the other routes, so buying it now gives you a discount off the full thing. on the future exit a play station 4 edition? What a great start to the weekend. And will be be getting the heavy freight or it will just be the great western main line at the start? It is stated in the official release that it was exclusive to the Xbox One so I'll safely say that no, no PS4 release is probably being looked at right now. I imagine they paid good money for an exclusivity license for the Xbox and those usually guarantee a product will be solely on that system for several years. Great Western Express only initially, other routes will be released at a later date. Will the TSW New York DLC and CSX heavy haul come to xbox one aswell? These routes will be added to Xbox One at a later date. Will there be any Xbox One X Enhanced improvements? Microsoft originally showed TSW as Xbox One Enhanced but that appears to have disappeared. At a guess I’d say it’ll be a future update perhaps? Is there a YouTube link to the official trailer for the TSW:FP? I own and manage the 'Train Sim World' club on Xbox one, and I would like to share it with our club! When the game comes out on xbox will you be able to use a keyboard to play on xbox instead of using the controller? Also will this game ever come out on playstation 4 aswell? You can also see the first clips using GameDVR on the store page. If the XB1X enhanced version will be of a sufficiently high resolution (4K or near 4K) then I'm interested. If it's 1080p or 1440p I will stick to the PC version. May I ask Dovetail if that is the case? Games that are XB1X Enhanced have to run at full 4K and have HDR enabled before Microsoft will allow the Xbox One X Enhanced tag to be added to it. I'd imagine the Founders Edition will get patched up to the XB1X Enhanced status after release, or the store listing will be updated at some point prior to release. Going on the file size of nearly 6gb, I'd say there are probably some 4K assets already there. Just find the PC one, it's the same! I'd hope they eventually add the 800's and the 387's. They might, although with the time period the route is set in electrification only goes as far as Hayes & Harlington. The Founders edition is early access. There will be further routes released later in the year when the full game releases. I'd assume you'll see Heavy Haul, Rapid Transit and any other route they release for PC. The Founders addition is early access. There will be further routes released later in the year when the full game releases. I'd assume you'll see Heavy Haul, Rapid Transit and any other route they release for PC. Where did he say this? Have you got a quote? In the time period of this route, the 387's were running the shuttle services... So would be awesome to see them. Thanks both, I must admit I didn't look too closely at the FAQ. The last we heard about the Passenger Information System (passenger announcements and station boards) is that it is mostly complete but they're having rendering issues with the engine. My understanding would be it's a similar issue that we've seen, at least on PC, with the OHLE flickering severely. Fire your Quality team or reorganize them so they do not report to the project team. There is no way a "Train Sim" should ship with that much missing track and to have the same issue after a major update is inexcusable, when only working with one line. What major update? First update enabled V-Sync & the other update has game current with upcoming British law about Data Protection. So I ask you again..... What major update? Does anyone know which scenarios on nec are cold and dark? Look at the picture and time of them. I must say, I'm really enjoying it on consoles, I own FE on Xbox One S and have now upgraded, but I played it on my uncles' PS4 and I've noticed a significant frame and graphic drop between the 2, with PS4 being the worst. I agree. Performance seems to have improved quite a lot on the Xbox. I'm on an Xbox One and I haven't seen any real noticeable lag.